› PRODUCTS › BRIX › KITCHEN › CLOSURES, LIDS, ETC. Handy and practical bag closure! 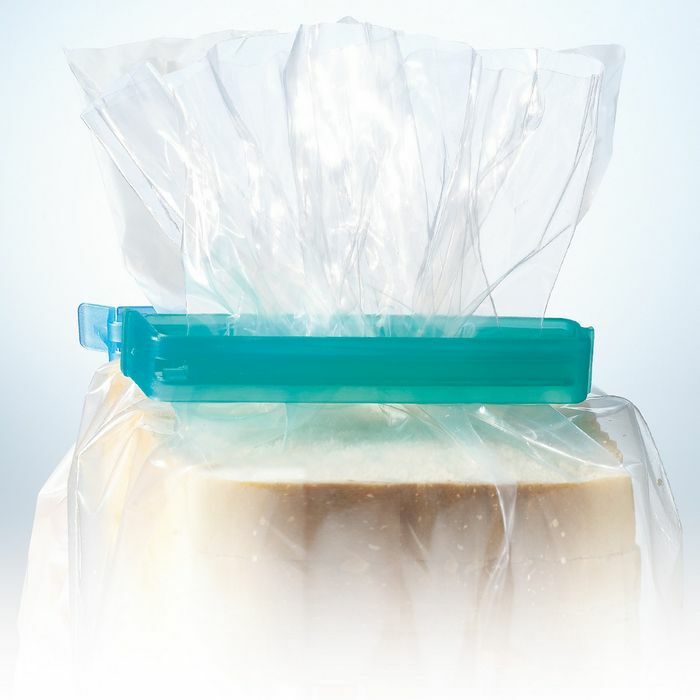 The patented 6Mix is a fast and easy sealer for food bags etc. 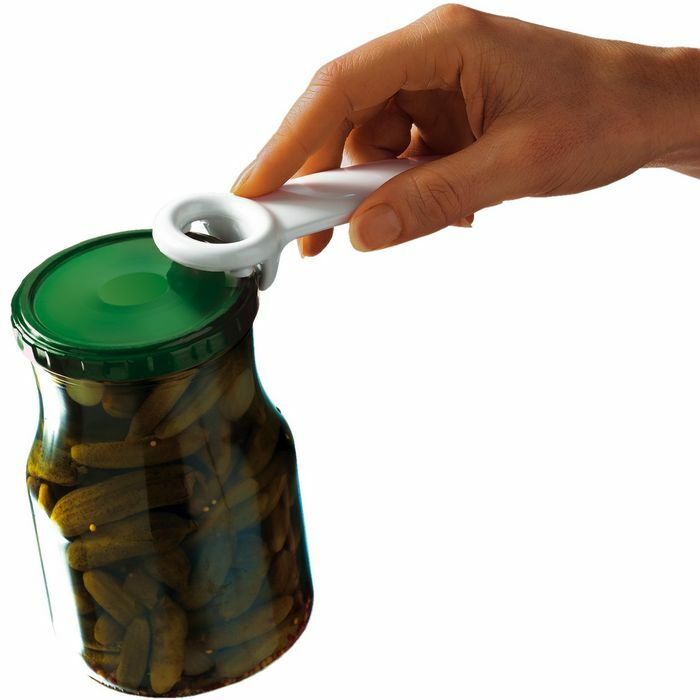 It protects the content from absorbing taste from other food articles in the refrigerator and keeps it fresh for several days. The 6Mix has 6 bag closures in two different sizes, which makes it possible to extend the use to larger bags of e.g. chips. 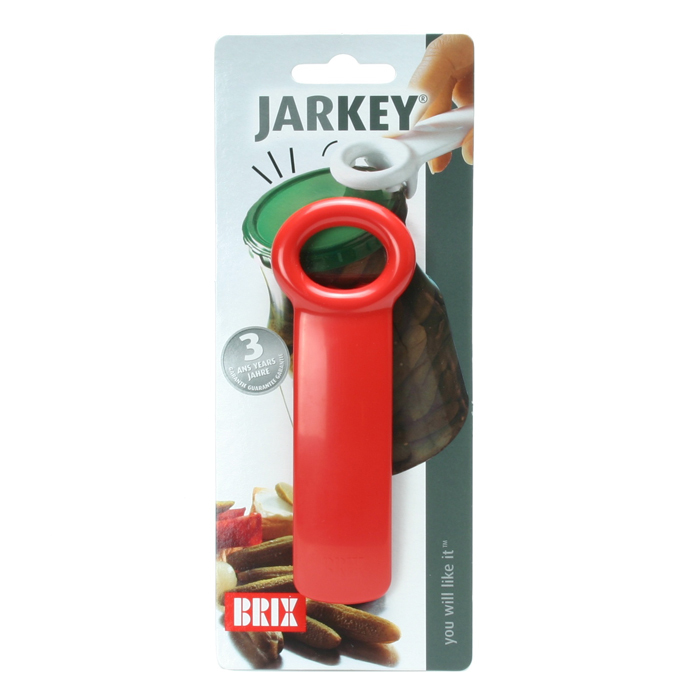 KEEPS THE AROMA AND CRISPNESS IN YOUR FOOD! By the use of 6Mix for closing bags of food etc. the aroma is kept for an extended period of time.For instance the use of 6Mix keeps your chips crisp for a longer period. With a simple click the bag closure is mounted, and when pulling the little handle, the closure opens. 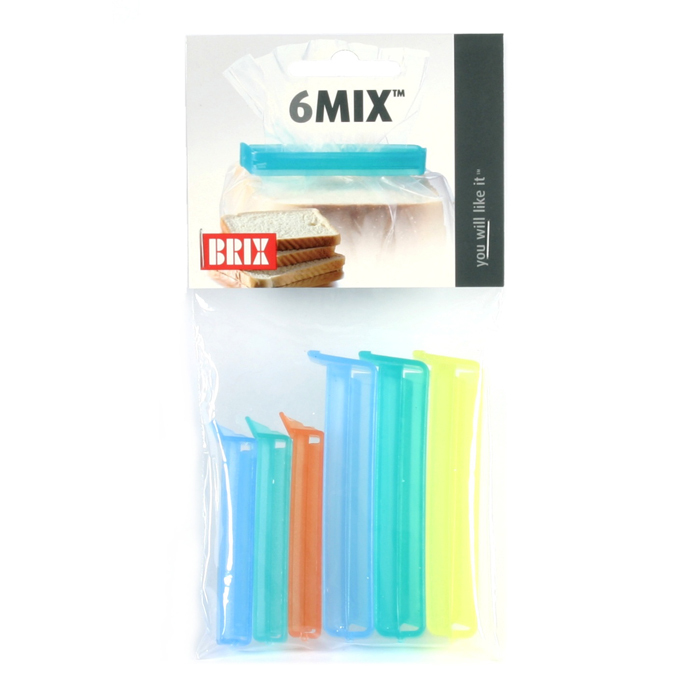 The 6Mix is made of transparent polypropylene. It has a long durability and is dishwasher safe.